Well it’s been a bit cold but today it’s nice and hot when out of the wind. 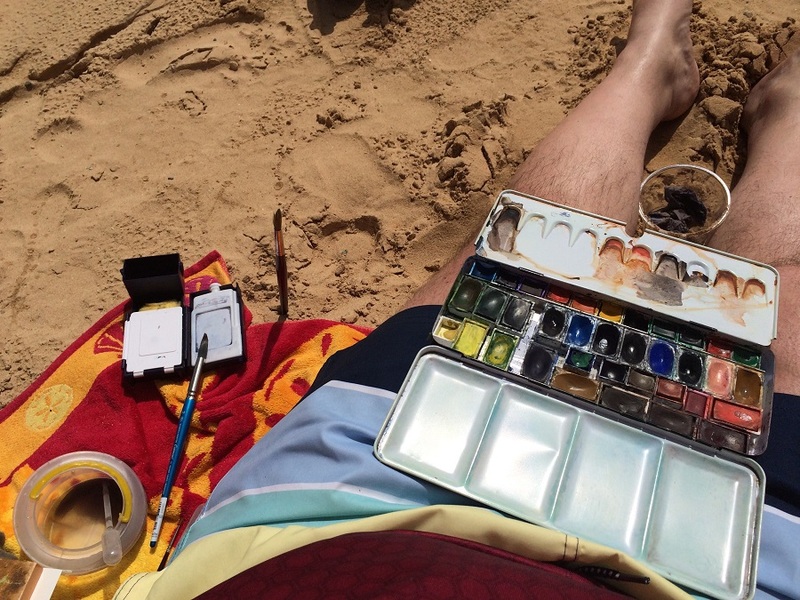 So I decided to paint on the beach and it’s not as easy as I thought with the wind but at least it’s sunny and the beer is only 10 meters away.. Happy painting great company and inspiration found just do we have the time?